Both Marks were superb. Polite and very knowledgeable. Popped in yesterday with tyre pressure issues, Dave was really helpful and fixed my problem. Always have great service from all the guys. Steve does my MOTs and does a great job. Everyone is very helpful here and always smiling! Paul was fantastic. I don't normally leave feedback but he was so on-the-ball that I wanted to write and thank you. On arrival, he found that I'd booked the wrong day but he had the tyres in stock so he could do the work straight away. The booking process was fast and easy. He knew the answers to all my questions about tyres and tracking. He handled multiple customers at once, was fully confident, polite, efficient and in control of everything that was going on. The work was done within the hour estimated. The car now drives much better (not pulling left). Many thanks to Paul and his team. The manager could not have been more helpful or polite. He rearranged a booking when I mislaid my wheelnut. I witnessed how he and his team only had the best interests of the customer at heart while trying to solve others’ problems. Quick service, pleasant operator, easy to deal with, no fuss completion. Excellent service at short notice. Had required tyre in stock and fitted quickly. They are good, but not my most local, so know fewer people close by them. Their service was excellent and the price was much better than other quotes I received. Very efficient service from Arron, Steve snd Jonathon at Abingdon Rd, Oxford. Go service, ordered tyre on Friday ( bank holiday weekend) and was ready to pick up on Monday ( bank holiday) !! Always polite, punctual and efficient. I have confidence in their ability. They were quick, helpful, friendly, informative, but mistakenly charged me for disposal of two tyres, when I had kept one, and only one was scrapped. Branch staff are friendly and efficient. Paul Ludlum is particularly good; indeed, he is the main reason I continue to use National. Good service today. Have on occasion been ignored at desk while staff busy on computers, and they can be a bit surly. But overall pleased with quality and speed of the service. I had a 20 mile drive to get to your branch in oxford . I think my frends & colleague will stick to the autocare stores closer to home. the price seemed OK, and the guys who looked after me were friendly and helpful - the service was pretty quick too. Quick, seamless service, courteous and polite. No issues. Tyre changed OK, correct tyre was in stock, and convenient branch location. Good service and good prices. Efficiency and excellent service provided. Very professional approach. Put the jack and accessories back and the space saver wheel. Not pushy , gave the customer choice but with advice in which class of tyre. Everything was explained well and I was offered advice on what work needs doing on my car in the future. Very friendly and polite, also managed to sort out my battery problem immediately. Good price quote ,good quality product and professional speed service. Very helpful, professional and friendly. Paul knew all about my classic car (Audi 80 1992). Mr Harris, who conducted the test, was quick and I felt very confident in his abilities. Staff are always friendly, helpful and professional, the prices are great and the quality of the work has always been very high. The staff were very helpful and friendly, service was very quick. The staff were very friendly, knowledgeable and helpful. The garage was very clean and tidy and the overall experience was good. Quick, reliable, friendly, good value service. On the day I visited, I received excellent service at a reasonable cost. Had car MOT and service. Service was thorough and staff helpful and done at a good price. A quick and efficient service. A good deal on the tyres and staff very helpful. Easy to contact, quick call back, arrived when said they would and job done quickly. 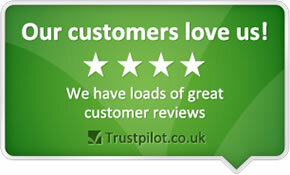 Service was first class,very polite,courteous and pleasant.Could not be faulted in anyway. Invariably polite, rapid and professional service. If the required tyres aren't in stock (which isn't often), they are obtained swiftly and often while you wait in a comfortable customer waiting area. Reasons behind giving a score of 10 are : Paul Ludlam and his incredibly friendly team who are very professional and are highly knowledgeable have advised me to what i believe is the best possible decision i could have made on very occasions when needing advise. Provided a urgent MOT when my car was in need of one desperately. Helpful advice on tyre selection and polite service. Very fast and professional service, friendly and helpful staff. fantastic service from the minute I made the call to when Terry the engineer turned up at work to fit my 2 tyres. Terry was especially good. He turned up exactly when he said he would and I was 20 mins late and he still waited. I was flustered due to being late, he re-assured me it was no problem, calm, pleasent, professional. personable - How refreshing, well done!! Reliable and thorough MOT at very good price. Polite, friendly and attentive staff. Well priced tyres at local depot. Efficient, friendly and helpful staff. The staff were very friendly and helpful. Really appreciated their advise and flexibility. Very quick service and lots of help checking other tyres that were causing concern. Very helpfull,efficient and friendly. Advice is given freely. Phone was answered in a friendly manor , phone backed when they said they would . Did not have the tyres i needed in stock , but booked me in for the next day , as the tyres where only worn it did not matter . Turned up the next day the fitter was very helpful , and they were change quickly and with no fuse , thank you . The reception is comfortable, warm and spacious with toilet facilities plus ample seating for waiting whilst the servicing etc is taking place. Friendly staff, efficient service, got the job done quickly and at the best price around. Very happy. My tyre change was carried out faultlessly. Good customer service, reliable & competitive prices. Job done at fair price and on time. Very quick and friendly service. On scene fitter very polite and helpful, and in good spirits. efficient and friendly, when I had a puncture and needed a new tyre quickly I just phoned the local branch and within half an hour I was there having my new tyre fitted. It might not have been the cheapest place to buy my Bridgestone tyre but it was the most convenient for me and I trusted the workmanship. Fast polite service. £10 off for feedback. The honesty,help and friendliness from the blokes put me at ease and to realise that I had found someone I could trust. I was given extremely helpful, friendly, and courteous service. Paul (in Oxford) managed to fit my car in on a very busy day, because my MOT was urgent. I feel the whole operation is very professional (and I have used them before). Congratulations! Quick ,honest service. Value for money. cheap MOT offer. Prompt , polite service. We have never had any issues. The Staff were very friendly at the garage along the Abingdon road in Oxford the service was relatively quick and the tyres were of good quality. my experience was good on my only dealings with the company so far. Very helpful service and advice. Good deal on MOT price. Staff was courtious,professional and very speedy. half-price MOT! ; in and out within an hour; helpful (and free) and almost immediate assistance when you have a query with your car - even without an appointment. Courteous staff and no waiting, well done! Plus the half price MOT! The experience was good. Asked the tyre fitter a couple of questions before he fitted the tyres, he responded politely, and I thought he did a good job.He also put the tyre date code to the outside which I did not ask for but which was a really good idea. So, was a bit concerned to start with but as it turned out I was more than happy. Excellent on-line booking service and great service (very polite, on time and low cost). Quick and friendly service, reasonable price. Because they dealt with my car repairs quickly, efficiently and I was very pleased with the service they gave. Always there is scope for improvement. Arrived at the garage five minutes Frome closing time but staff were still willingness your change my tyre after a slow puncture. Was so grateful has had a 40 mileage drive home. Excellent price. No hidden extras. Useful advice. Fast, efficient, effective and courteous. Straightforward advice with no fuss. All of which adds up to excellent customer service. An efficient,speedy & good price experience which i had booked previously. THANKYOU. The member of staff who attended to us, Chris Jones, did a fantastic job. He conducted a thorough check of the car, advised us clearly of all the issues and ensured the work was completed in an efficient manner. We were at the beginning of a road trip through England and Scotland when we had the accident, and it could have been ruined had we had to turn back. Thanks to National, we were back on the road in no time and had no further issues with the car until we dropped it back off at the rental agency two weeks later. Excellent service. I booked on-line & when I got to the centre, all the paperwork was done, they were expecting me and the tyres were there, ready & waiting.